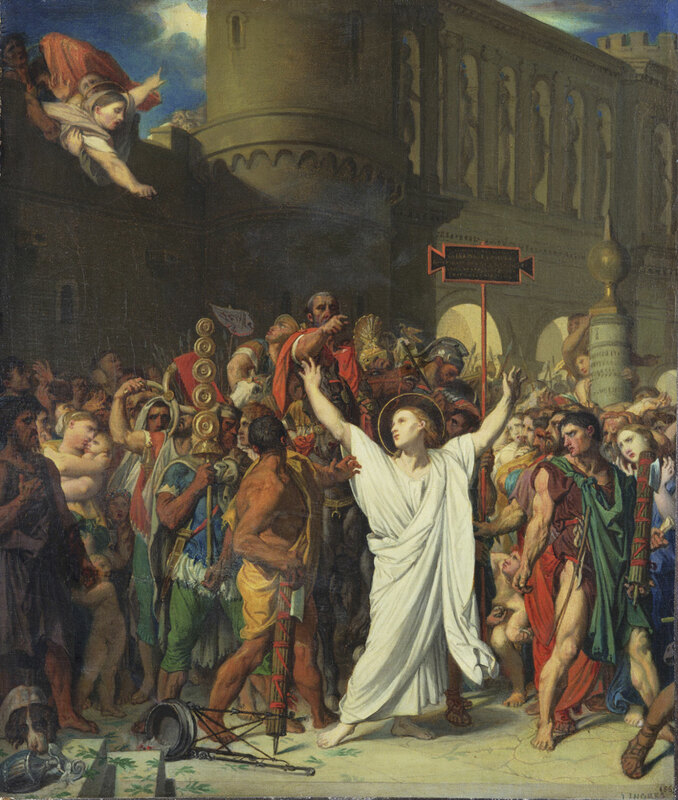 Ingres here depicts Saint Symphorien, a Roman Christian of the second or third century, being led to his execution for his contempt of a pagan image. Symphorien's mother shouts encouragement to him from the city wall. In the fifth century, a church in honor of Symphorien was built at Autun, France, the scene of his martyrdom. In 1834, Ingres completed a monumental altarpiece of the subject for the cathedral at Autun, and some thirty years later he painted this small-scale replica.